Rising out of Lower Silesian plains some 40 kilometres southwest of Wrocław, this 718m peak was, and in some ways still is, the most important site of Pagan worship in Poland. With remnants of stone rings dating back to the Bronze or Iron Age and animalistic sculptures of uncertain origin, Ślęża was of such importance to the Slavic tribes inhabiting the region that it most likely gave name to the entirety of Silesia and the Silesian people. 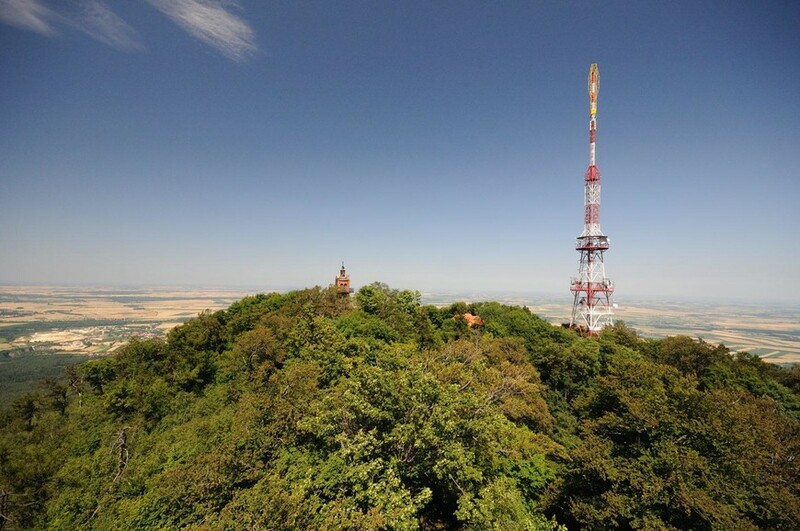 Today, the peak is a popular weekend hiking destination for Wroclavians, with a network of trails and a mountain hut sitting on its top - right next to a church, whose controversial priest is doing his best to claim the holy Pagan peak for Christianity. Indeed, many present-day researchers agree that the name of Silesia and Silesians come from the Ślęża Mountain (variously called Silencii, Slenz, Slez by different chroniclers) and Ślęza River. The names of these, in turn, could have originated from an early Slavic word for wetness, ‘ślęg’ (as the Polish variation goes), or could have had an earlier, ‘proto-European’ origin. Alternatively, other researchers derive the name of the region (and perhaps also the mountain) from the Silingi, a Germanic tribe which inhabited the area before the Slavs showed up, until approximately 400 AD. The worship of the mountain, though, predates both Slavic and Silingi times. According to most researchers, the stone rings surrounding Radunia and Wieżyca, two of Ślęża Mastiff’s lower summits, and a collection of mysterious stone sculptures found in the area, were actually created in the Bronze or Iron Age by Celtic inhabitants. It is believed that later settlers inherited Celtic beliefs about the sacred nature of the mountain, performing their own religious rites here. Unfortunately, reconstructing the history and customs of Silesians is tricky, as they left behind no written accounts, so the little that is known was pieced together from Latin texts written by various chroniclers. These were frequently written hundreds of years after the original Christianization of Poland by people not entirely familiar with the local culture, and so paint quite an incomplete (or downright misleading) picture. So what is known? Christianity became the official religion of the Polish state in 966 AD, when Prince Mieszko I agreed to a baptism to please his Czech wife Doubravka, and probably to gain influence in Christian Western Europe. As you can imagine, most Poles really were not down with the a new deity and a new set of religious rules, and in 1038 a popular uprising broke out, with Ślęża becoming a major stronghold for the insurgents. Sadly, the stronghold was captured, and the mountain and its surrounds were given to nobleman Piotr Włostowic (aka Peter Wlast), who proceeded to settle monks from the Order of Saint Augustine at the the top of the mountain or at its base, in what is now Sobótka. The monks eventually became fed up with the provincial location and demanded to be moved to Ostrów Tumski in Wrocław, but there was no turning back the Christian tide. In the 14th century Ślęża was purchased by Prince Bolko II, who built atop it a castle; gifted to Czech rulers sometime later, the castle slowly lost military meaning and fell into ruin some 200 years later, at which time a wooden church was erected in its place. This modest structure was replaced by a much grander Baroque-style building in the early 18th century, but it took until 1834 for Perun the God of Thunder and Lightning to finally get fed up with the whole thing and strike the church, burning it to the ground. The temple was rebuilt in the years 1851-52, and the remains at the top to this day, under the name Church of the Blessed Virgin Mary. In a show of religious zeal which apparently hasn’t changed much in 1000 years, the local priest vies for influence over the mountain with Polish neo-Pagans, with plans to turn the mountain into an official Marian shrine. An especially controversial incident occurred in 2013, when a copy of Światowid, aka the Zbruch Idol (the only sculpture in existence believed to depict a Slavic god), disappeared from the mountain hut atop Ślęża, where it had resided since 2010. Though the mountain hut manager took the blame, saying she removed the statue because she was tired of visitors asking about it, the local neo-Pagans unanimously accused the priest. Not soon afterward, fire was set to a statue of Jesus inside the Church of the Blessed Virgin Mary, in what could have been an act of revenge - though the culprits were never caught. So what of one of Ślęża’s main draws, the statues? There are three on the mountain: two bears and a rather masculine, headless ‘Maiden with a Fish’, whom some suspect to be none other than Piotr Włostowic, sculpted during the Middle ages. Though there is no consensus on whether these are Celtic, Slavic, or Medieval, most scholars lean towards the first option, pointing at similarities with other Celtic works of art. Curiously, the sculptures are all inscribed with an X, which - depending on whom you ask - is either a solar symbol or a mark made when dividing property between the Church and local princes living in the castle in the 14th century. The maiden and one of the bears can be found along the red route leading from the town of Sobótka to the summit; the other bear is located at the very top. A few other sculptures, possibly depicting monks, are scattered around Sobótka. At the summit, you can also see the remains of the castle hidden in the church’s cellar and view the surrounding plains from the observation tower, though both endeavours will require making a small donation. Getting here by public transportation is easy. Buses to Sobótka leave about once an hour from the bus station, tickets can be purchased directly from the driver, and the journey time is approximately 50 minutes. 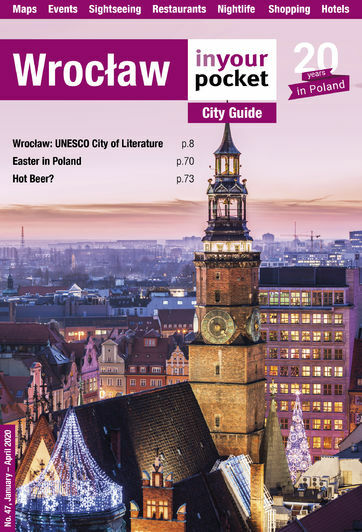 You can use www.e-podroznik.pl to check the current bus schedule. Once there, look for the red trail passing through Plac Wolności, the square in front of the church adjacent to the bus stop. Following this route, the hike to the top takes about two hours. For other trails (with hiking times and elevation profiles), check out the nifty site www.mapa-turystyczna.pl (Polish only, but quite intuitive to use).